Anyone can pick up some tools and start tree cutting, leaving the tree looking hacked and unsightly. A real arborist with good tree pruning skills can reduce the size of a tree, and it will still look great afterwards. Easy for a qualified arborist to do, but with outstanding visual effects. Trees and shrubs that are misshapen or unbalanced can be easily pruned to restore their natural shape and beauty. 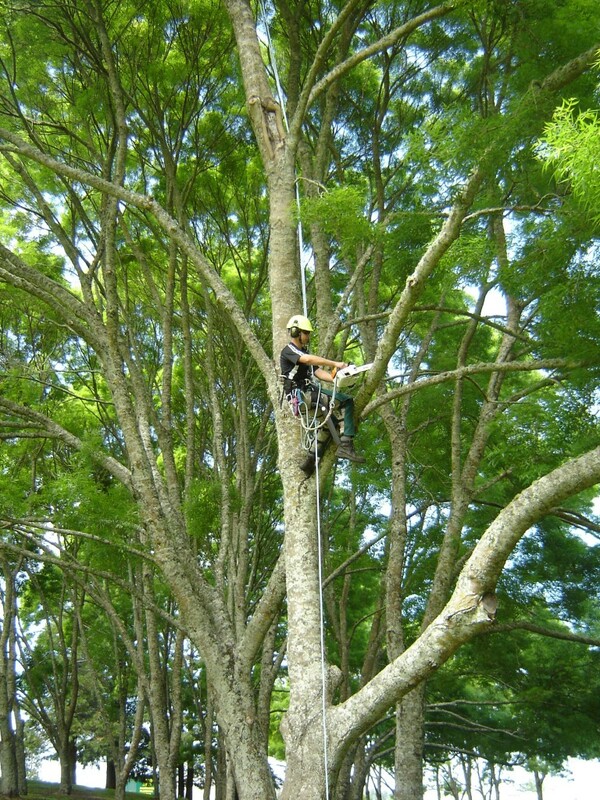 Our arborists shape large trees, small trees, and shrubs. Are you worried about the size of your trees and shrubs? Would you like to keep them to a manageable size? 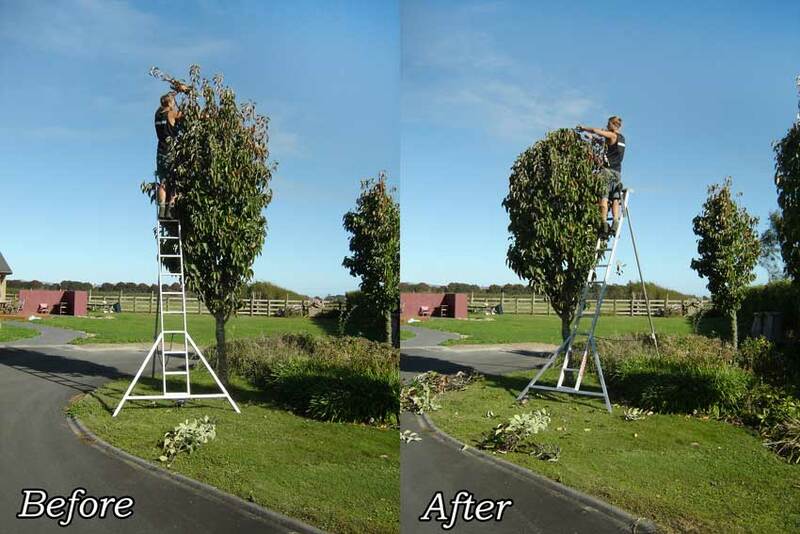 Our arborists can reduce the height and width of your trees and shrubs leaving them smaller, well shaped and attractive. Have a look at the before and after photo of the Gleditsia tree below. The tree is much smaller after our arborists have reduced it’s height, but it is still attractive and natural in appearance. Thinning the canopy will allow more sunlight to filter through, while retaining your tree’s original size and appearance. Removing lower limbs will allow more morning or afternoon sun to pass under the canopy. Reducing the height and/or width can make a big difference to the amount of sunlight passing over and around the tree. An arborist can use any one (or a combination) of the tree pruning methods above to get more light through. When the tree trimming is finished, your trees will still look natural and attractive (if a Groundzone Tree Care arborist does the pruning!). Pruning and thinning to create windows and vistas through the canopies. Removing lower limbs to improve the view under the canopies. Reducing the height to allow view over the top of the trees. Reducing the width to allow view around the trees. As we are a local tree company, our arborists regularly carry out tree pruning around homes and gardens to improve the view. Pruning to reduce the weight of long heavy limbs. Removing cracked limbs and other hazardous limbs. Reducing the sail area of trees that are prone to blowing over. 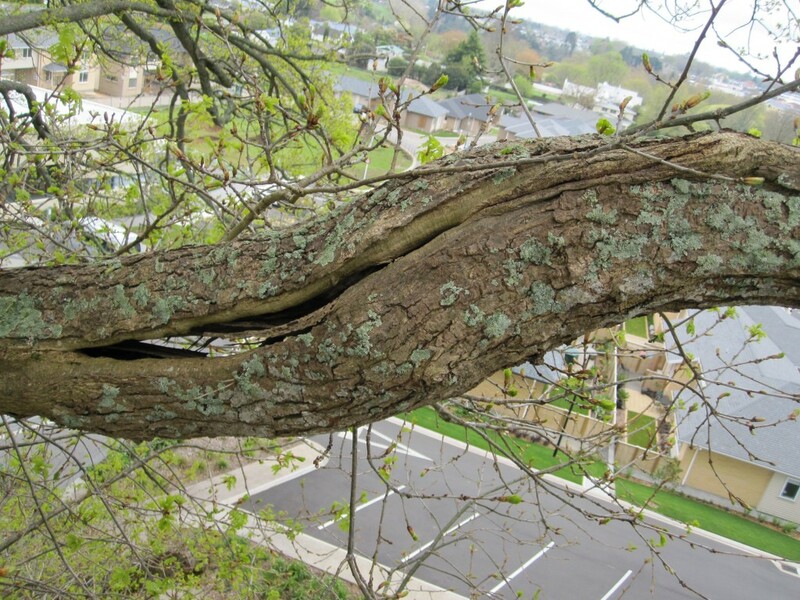 Do you need a tree inspection report for a dangerous tree? Call in our consulting arborist to carry out a tree inspection. Our tree consultancy service can include a written arborist report if necessary. For more information click here to view our tree inspection and tree consultancy page. Tree pruning to remove dead, diseased, and weak branches will improve the health of your trees. Removal of double trunks and pruning to improve the structure of your trees will ensure they have a good strong structure to last for many years. An arborist spending a few minutes pruning a young tree to improve its form and structure can save hours of work in the years to come. Do you have one fruit tree or a whole orchard? We would love to hear from you. Fruit trees are not all the same and each different type of fruit tree requires different pruning methods. Proper fruit tree pruning will greatly enhance your fruit production and will result in healthier trees that will produce fruit for many years to come. Incorrect pruning, however, will decrease fruit production and will damage your trees. Contact us for expert advice and pruning of your fruit trees. Our arborists prune and shape shrubs of all kinds and sizes. The olive below is a large shrub. We also prune, trim, shape and thin small shrubs. We are experts in properly thinning and shaping camellias. Do you want fantastic roses? Our arborists are rose pruning professionals. WHAT HAPPENS TO THE BRANCHES THAT WE PRUNE? The branches we prune from the trees and shrubs are put through a chipper. We can chip branches and logs up to 9 inches in diameter. The chipper discharges the wood chip into our truck. This is a very efficient and cost effective way to take away a large volume of branches in a very short time. We can then very easily take the wood chip away, or tip it off on site if you would like to keep it for garden mulch. The wood chip we take away is added to our wood chip supply. See the photos below of a large limb being put through one of our chippers.